As a Scottsdale wedding Photographer, LightRain Images has photographed in dozens of Scottsdale wedding venues. In churches, hotels, ballrooms, golf courses, spas and resorts LightRain Images photographers have captured the once-in-a-lifetime romantic photos and candid photographs of celebration of hundreds of happy couples. At LightRain Images, we believe that wedding photography is the most important part of a couples wedding. Breathtaking photography will be treasured for many years and passed down for generations. We feel a couple should be proud and excited to show off their wedding photographs, video and wedding albums to friends and family. Photographs of fleeting moments of celebration is what our skilled professional photographers do best. 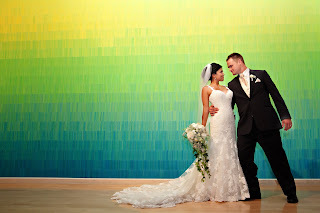 Our images don't look posed or stuffy, but candid, spontaneous, romantic and stunning. Our photographic teams use top of the line Canon digital cameras and lenses and have been formally trained in lighting, photographic techniques and posing of models. Drawing on extensive experience and formal training in lighting and posing, we make our brides and grooms looks their absolute best. Our web site is filled with hundreds of happy clients, not models, who look like models in a bridal or fashion magazine. Contact us at 480.699.5731 or info@LightRainImages.com for a free consultation.